New United Distributing Company - Click On These Catalogs To Learn More About What We Carry. Check out Pinterest for the latest in colors and patterns from Duck. Click On These Catalogs To Learn More About What We Carry. Check out Pinterest for the latest in colors and patterns from Duck. Duct Tapes, Craft Tapes, Masking and Painting Tapes, Packaging, Mailing and Moving Supplies, Shelf Liners and Weatherization Products. 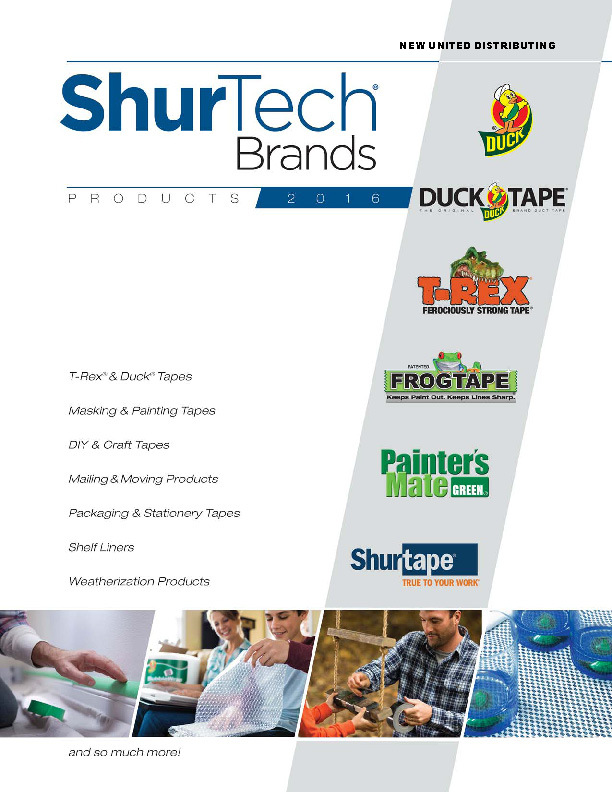 Painter's Mate Green®, Caremail®, FrogTape®, T-Rex® and ﻿Easy Liner® Brands. Contact us for pricing information and to place an order here. Copyright 2017 New United Distributing Company. All rights reserved.